Paperless recorder which transfers data through the USB flash drive or CF card, and transfers the recorded data on the paperless recorder to the computer. 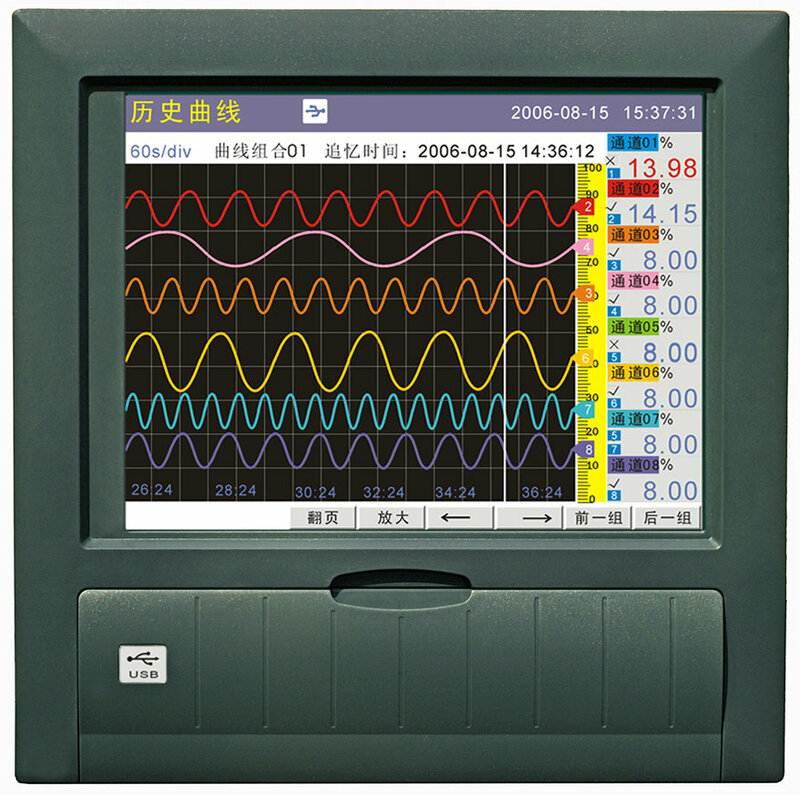 The user can use the PC data management software provided by the Paperless Graphic Recorder China manufacturer to review and process the data, users can also review the historical data and historical curves through the free software on PC. Customers can also use RS-232C/RS-485 communication interface to realize remote monitoring and manage the data recorded on the paperless recorder. The paperless recorder replaces the traditional paper recorders, improves the quality of the recorder, enhances the stability and reliability of the recorder, and more importantly reduces the operating cost of the recorder. The touch screen paperless recorder makes the operation more convenient, the on-site monitoring is more convenient, the parameters can be changed anytime and anywhere, and the history is recorded. The touch screen paperless recorder is an ideal product for users with higher demand. The main applications of paperless recorders are: metallurgy, petroleum, chemical, building materials, paper, food, pharmaceutical, heat treatment and water treatment. With the development of technology, paperless recorders have expanded more functions, such as PID adjustment, paperless recorders with temperature and pressure compensation for more accurate flow recording and calculation. Silver Automation Instruments sells Paperless Graphic Recorder from China manufactures, with low price and robust construction. We can max with 48 channels paperless recorders, also with blue screen, color screen options for customers.